With a rise in things like ad blockers, and ongoing political controversy surrounding major advertising networks like Facebook, it’s no surprise that marketers are looking at an alternative route to grow their audience online. Influencer marketing is one of the hottest methods around and is rising at a faster rate than online ads. 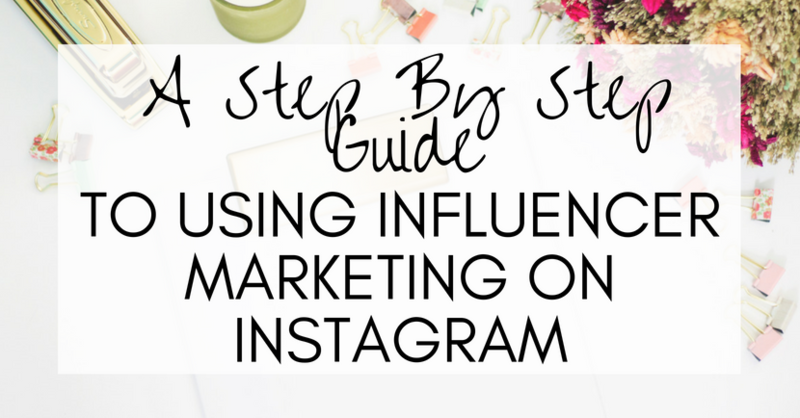 One of the best platforms that companies have used for Influencer marketing is Instagram. So if you’re new to influencer marketing and want to know if it’s right for your business, I’ve put together this little step-by-step guide to help you get started. First, the exciting bit. Get influencer marketing right, and it can grow your business fast. Consider, for example, that you’re about to launch a new eCommerce business specialising in a new brand of sunglasses. Getting 10-20 of the biggest fashion influencers on Instagram to model those glasses for you on their accounts, and you have the potential to launch a business which is something of an “overnight success” – perhaps even selling out in the first week and becoming a must-have item on everyone’s fashion list. Now the bad bit. It’s still relatively new, highly unstructured, has few standards and with little regulation (outside the normal advertising regulations and laws – I’ll steer clear of that in this article but check your own country’s regulations). And like with a lot of things on social media, there are a lot of unscrupulous people out there who will take your money and give you little in return. So before you get started, you need to understand how it all works. 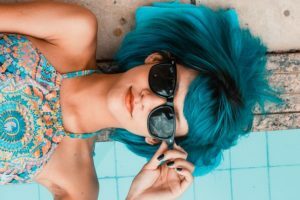 Many people imagine an influencer to be someone like Kylie Jenner – a huge celebrity with millions of online followers who can get your product featured in the news with one single Instagram post. And that’s probably true. But if she does promote products and businesses for a fee, it’s likely to be outside the price range of most businesses. In fact, even big businesses have clued themselves up to the fact that big celebrities aren’t the way to go when it comes to influencer marketing. Yes, they might have big audiences, but those big audiences are vast and not often aligned with your target market. What most smart marketers do nowadays is steer clear of the celebrity accounts and instead focus on smaller, more niche accounts – people you’ve never heard of but with a strong, loyal online following. So when I’m talking about influencers, that’s the type of person I’m referring to. Influencer marketing is relatively simple – certainly it’s easy from a technical point of view (especially if you’ve ever tried to grapple with Facebook’s so-called “power” editor). You’ll create a promotional Instagram post and hand that post over to an influencer (sometimes influencers prefer to create the content themselves – especially if it’s product placement i.e. a picture of them wearing your sunglasses brand). That influencer will then post that content on their Instagram feed, often with a caption telling their audience how great you are and to check your account out and to follow you. Sometimes they’ll also add your link to their profile. And that’s it. Their followers see the post, see the recommendation from the influencer, and many of them will go and check you out. In return for the fee you pay to the influencer, you get more followers, more traffic, and providing you have a good sales funnel, more customers. Is Influencer Marketing Good For Traffic? In short, yes influencer marketing is a great traffic source. But it’s also about quality over quantity. I’d never claim it’s a method that will get you millions of clicks, but it can get you hundreds or thousands of very high quality clicks – that’s far more valuable to any business. These are clicks of people highly likely to buy from you. After all, what better lead than one who comes to you because someone they respect has recommended you? What type of product can you sell using influencer marketing? Don’t fall into the trap of thinking that influencer marketing is only good for physical products. There are plenty of businesses who have had huge success using Instagram influencers to promote services, digital products, books – all sorts really. It doesn’t matter what you are promoting – what matters is finding an influencer who is aligned with your brand (your target customers are following them) and that you have a good, high quality promotional strategy in place. What about using paid shoutout websites or other influencer brokers? I’ve tried brokers and shoutout websites and I can’t personally vouch for them. The results aren’t good and the quality of followers – in my experience, are poor. However, I will say that I think these types of websites are on the rise so I do expect that in the future there will be far better quality brokers and intermediaries around. For now, I would go direct to an influencer rather than use one of these websites. Smaller and specific is better. And often it’s best to find influencers who are less established. The popular ones will have high rates and you don’t want to be paying that. Look for influencers who are really aligned to your market when it comes to target customers. That doesn’t mean they are a competitor, just someone who you might have some common ground with. For example, if you are promoting virtual assistance services as a business, have a look at influencers in areas such as website branding – often they’ll have clients who are doing a website overhaul and those may be people who need a virtual assistant to help with the website launch. 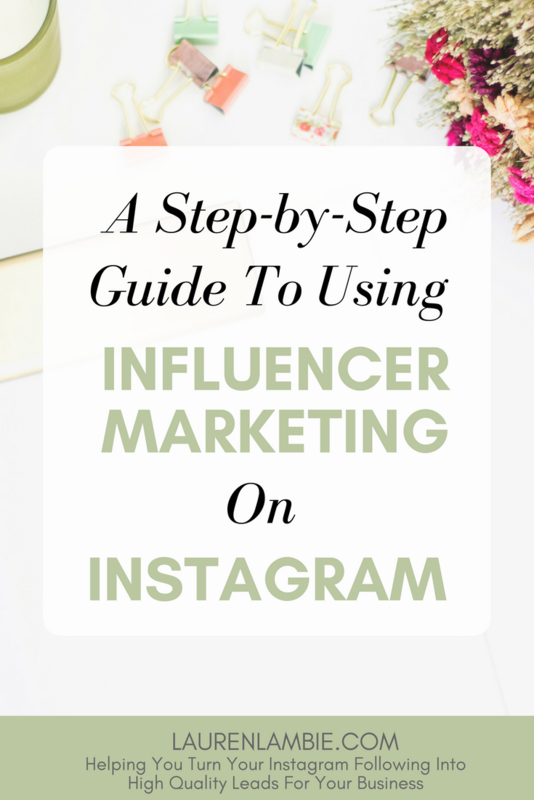 Always look at the engagement levels an influencer is getting before you approach them. It’s far more important than their follower count. Obviously look at likes, but I would pay most attention to the number and type of comments they are getting. If they are getting really personal comments from their followers rather than generic ones (i.e.” wow I love that new hairstyle on you!” rather than “great post”) then that’s a good sign they have a really loyal, highly engaged following. To start finding influencers, start with your own followers (your most loyal, engaged followers). Look at who else they are following. Click on that person and view related accounts. This is the best way you can start searching for the right person to approach. Another good tip is to try a hashtag search, and see what big accounts that uncovers. The best way to contact an influencer is via email. Second best is via Instagram DM (some accounts won’t read these so be warned). Sometimes you’ll see on a person’s profile that they use Kik – this is a messaging app that’s popular with Instagrammers, and they might prefer that for contact. Hey Lauren – Hope you don’t mind the direct email but I’m looking at running a shoutout promotion on Instagram and I am a big fan of your account. I’m trying to find a couple of influencers who’d be happy to promote my account to their following in exchange for a small fee – is this something you might be interested in? If so, if you could send over your current rates? There’s no going rate as such, so it’s difficult to give you a figure. And of course it depends on the industry you’re in – it will vary. But I’d focus on starting your paid rates with accounts with other 50k followers as a minimum- probably more, and I’d negotiate a repeated promotion for that size of account(maybe with profile link too). Test the waters with a rate you can afford. Or ask influencers for their going rate. However, if you are promoting a physical product, most of the time you can negotiate giving the influencer the product as a freebie in exchange for a promotion – so you won’t need to pay a fee on top. A few bits of detail that’s worth bearing in mind when agreeing a deal. First, make sure the shoutout will stay on the influencer’s account for at least 24 hours. Secondly, check what time they plan on running the shoutout (you don’t want them to post your promotion during the dead hours when their followers aren’t online) and make sure they don’t run other promotional posts straight after it (ideally you want at least a 2 hour window between posting your promotion to when they do their next Instagram post). Lastly, use Paypal to transfer payment and let them know this from the start. If you’ve got this far and are wondering whether you really have the budget to pay an influencer then there is an alternative option that’s great for smaller accounts. That’s a shoutout swap, where you shoutout their account in exchange for shouting out yours. This is a good way to build your follower base provided you partner up with some quality accounts that are of similar size to your own. As with any type of marketing, you have to keep track of how your promotion is performing. I use a tracking tool called Clickmagick (here’s a link to their free guide on tracking) to help with this as it allows me to track clicks and conversions, but there are plenty of options you can use to make sure you are keeping an eye on whether a promotion is performing well – even simply using a bit.ly link will give you basic stats on how many clicks you are getting during a promotion. It’s good to test out several influencers and compare their results side-by-side, in the same way as if you were split testing ads during a standard ad campaign. If one stands out, why not negotiate a longer-term repeat package with them – say once a week for 8 weeks. You’ll be able to get a better rate for repeated promotions from an influencer too. A great influencer is a huge asset to your business. So take the time to get to know them. Connect with them on all their social media platforms and make sure you interact with their social media content. Make sure you respond to any comments on the post and if you can, get your friends to interact with the post too (such as liking and commenting) so you can improve the reach of that on Instagram. It’s also worth following anyone who posts a genuine, positive comment on the post. These are likely to be your target audience and are worth getting to know better. Of course, just running a promotion in itself is not going to do anything for your business unless you have something in place to turn those followers into customers. 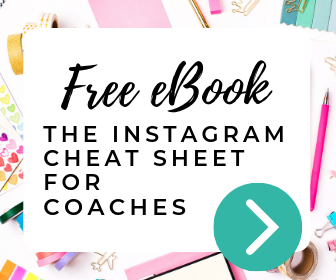 So if you haven’t done so already, download my free guide on how to use Instagram to build your email list. You need to have this in place before you run a promotion so that you can make sure all that money is giving you new, high quality leads for your business.